Fukushima nuclear power plant during "happier" days. On the 25th anniversary of Chernobyl, more of the same. How bout no more? Hiroshima and Nagasaki, Three Mile Island and Chernobyl—and now Fukushima. This latest and hopefully last nuclear disaster ironically has struck the very land first devastated by two US atomic bombs. Unlike those first two horrors, however, those of late in Japan were never supposed to happen. The six nuclear reactors at the Fukushima Daiichi nuclear power plant, like all others around the planet, were deemed safe and robust. Every possible problem that might arise would be checked by the nuclear industry’s vaunted “defense in depth.” If the first safety system failed, there was another to back it up, and yet a third should the second fail as well. The plants reactor buildings, nestled along Japan’s northeastern Pacific shoreline, were designed to survive a 7.0 earthquake. And a tall safety wall would protect the plant from any tsunami. Until March 11, when the impossible and inconceivable rocked and inundated Fukushima. Multiple explosions ripped massive reactor buildings apart, fires fueled by melting nuclear fuel rods erupted, and massive releases of radiation fast followed, soon to circle the world. The Fukushima disaster actually began nearly six decades ago, when the US government started its “Atoms For Peace Program. To counter horrific images of Hiroshima and Nagasaki, promises of atomic cars and planes, homes and cities went out. Walt Disney Studios contributed its film “Our Friend the Atom” to the campaign. And on Labor Day 1954 President Eisenhower waved a magic wand in Washington in a nationally televised event. The wand supposedly started a bulldozer that initiated construction of the nation’s first nuclear power plant at Shippingport, Pennsylvania. The US government heavily subsidized construction of commercial nuclear plants across the US, and enlisted nuclear weapons allies France and the UK to go for nuke plants too. Japan didn’t get into the act until the late 60s. In 1967 Tokyo Electric Power Company broke ground for the first of what would become six reactors at the Fukushima Daiichi nuclear plant. General Electric played a large role in bringing them to be. Unit 1 started up in 1971, and by 1979 all six units were operating. Together they comprised 4.7 Gigawatts of generating power, making Fukushima one of the 15 largest nuclear power plants in the world. TEPCO actually had plans to build two more reactors at Fukushima, each a 1380 Megawatt monster. The company cancelled those plans last February, but that same month received approval to operate the 40 year old Unit 1 for 10 more years. Its operating license was to expire in March. Over time TEPCO grew to be a powerhouse, both literally and politically. But along the way evidence of arrogance and a chronic poor safety record grew. For example, in 1990 the US Nuclear Regulatory Commission pointed to the risk of loss at cooling at nuclear plants in “seismically very active areas” as one of the most likely risks facing nukes plants. Without continuous cooling, nuclear reactor and spent fuel will heat up and begin to melt, releasing great amounts of heat and radiation. Spent fuel is nuclear fuel that is commercially worn out, but remains very hot and very radioactive. Japan’s nuclear safety agency repeated the NRC’s warning, but not until 2004. According to a whistleblower who had worked as a scientist for the nuclear safety agency, TEPCO brushed off the warnings and went its merry way without making any safety improvements at Fukushima. A 2008 cable from the US Embassy in Japan released by Wikileaks revealed that the International Atomic Energy Agency castigated Japan’s nuclear industry at a meeting of the G8’s Nuclear Safety and Security Group in December of that year. The reactors at Fukushima sat idle from 2002-5 during an investigation into charges of TEPCO falsifying records relating to safety systems at its nuclear plants. In 2010 TEPCO admitted many of the charges. And so the stage was set for the tragic upheavals that began on March 11, 2011. 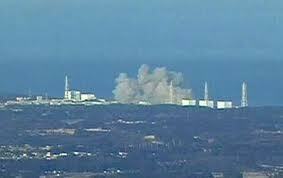 When the earthquake hit Fukushima Daiichi, units 1-3 automatically shut down. Safety systems went into effect to remove heat from the reactor buildings. Units 4-6 had already been shut down for maintenance. The earthquake took down the outside electrical power grid. Ironically, the primary cooling system depends on outside electrical power. Without it the plant literally went dark. But then the subsequent tsunami flooded the reactor buildings, rendering the backup “defense in depth” safety cooling systems inoperable. Without cooling power, nuclear fuel rods in the reactor and spent fuel pools began to heat up. Some became uncovered and soon began to melt. The nuclear fuel inside the Fukushima reactors was encased in stainless steel containers called reactor vessels. Surrounding the vessels were larger structures known as containment buildings. When the reactor fuel melted, it released hydrogen gas that raised pressure inside the containment buildings beyond what they were designed to withstand. On March 12 this caused an explosion in Unit 1 that blew off the roof and the upper walls of its containment building. Fortunately the reactor vessel remained intact. On that same day TEPCO announced it “had lost the ability to control pressure in some reactors,” Reuters reported. The article also reported that radiation levels at the plant control unit were already thousands of times above normal. The evacuation area was extended to 12 miles around the plant, affecting hundreds of thousands. The US subsequently advised US citizens living within range of the Fukushima nukes to evacuate to at least 50 miles away. And a flotilla of the US Navy Seventh Fleet, located 100 miles offshore from the nuclear plant, “moved it ships and aircraft away from the Fukushima plant” after ‘the ship’s (radioactive) sensors” sounded, Reuters reported on March 14. 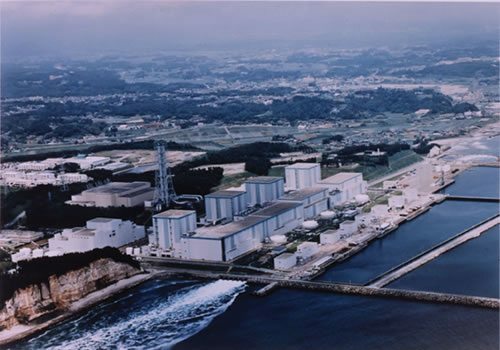 Without fresh water available to cool down the reactors and spent fuel pools, TEPCO turned to gushing seawater into the reactor buildings. This had never been tried before. The seawater certainly had cooling power, but was also highly corrosive. In fact its harmful effects played into TEPCO’s subsequent decision to permanently shut down Units 1-4. The massive amounts of seawater in the buildings soon became highly radioactive. The only solution seen was to dump it in the ocean. A large leak in one unit added to this catastrophe. In fact the entire situation was unprecedented. The nuclear disasters at Three Mile Island and Chernobyl each involved a single reactor, while the Fukushima one included at least four. The AP also reported a fire had broke out in Unit 4’s spent fuel pool. A Japanese official told the IAEA “radiation is being released directly into the atmosphere.” Another fire flared up in the pool the next day. The Obama administration wants $3.6 billion in loan guarantees for wannabe new nuke utilities. If the utilities fail to pay back the loans, the US taxpayer would pick up the tab. This is like a prepaid bailout. Less than a week after the disaster began at Fukushima, its radioactive releases began showing up far beyond plant grounds and the immediate vicinity. Reuters reported on March 15 that, “radiation in Tokyo was 10 times above normal.” Japan’s capital is over 100 miles from Fukushima. That same day Japan Prime Minister Naoto Kan reported that low level radiation had spread from the plant along Japans northeast coast, according to msn.com. ”The possibility of further radiation is heightening, “ Kan added. Just south of Fukushima “up to hundred of times normal levels of radiation were being found. By the end of March My Sinche of China reported that low level radiation had spread to most of that nation. “The Minister of Environmental Protection said the radiation had been detected across the country’s heavily populated areas,” My Sinche reported. The first Fukushima radioactive plume reached the west coast of North America around St. Patrick’s Day. Here in the San Francisco Bay Area, substances said to provide protection from radiation disappeared from store shelves with lightening speed. Potassium iodide, which provides protection from radioactive iodine, was nowhere to be found by the time the plume arrived. In the food co-op where I work, sea vegetables and miso, also said to provide protection from radiation, flew off the shelves. The March 18 Sacramento Bee reported EPA detection of Fukushima there. Subsequently more was detected in 10 states. The EPA and local public health officials found radioactive iodine in 18 US cities, including Denver, Los Angeles, Detroit, and Boston. San Francisco is not on this list. But a sample of rainwater from March 23 taken by nuclear engineers from a roof at UC Berkeley showed levels of radioactive Iodine 181 times above federal limits for drinking water. The arrival of the first Fukushima plume in the Bay Area coincided with a week of drenching rains. Rain is known to bring down radiation in clouds. Around this same time Joseph Mangano of the Radiation and Public Health Project provided more evidence of radioactive contamination on the West Coast. The Radiation and Public Health Project (RPHP, radiation.org) studies the effects of low level radioactive emissions, particularly those from nuclear power plants, on human health. RPHP’s Tooth Fairy Project has found connections between childhood cancers and the amount of radiation in the teeth of children who lived near nuclear plants in the US. On March 24 Mangano released a report finding “sharply rising levels of radiation in the air in several US cities. From March 16-21, radiation in air rose steadily in several cities, nearly doubling in Portland OR (up 83% and Seattle (up 68%).” The increase for San Francisco was 30%, Mangano reported. Authorities reporting these findings uniformly took pains to assure the public that the amounts of radiation detected were inconsequential and no threat to human health. And the media by and large played along. A March 31 article in the San Francisco Chronicle, “Minute radiation found in state, written by its science editor, typifies this phenomenon. In this six paragraph article, the words “extremely small,” “levels barely reach limits of detection,” “so low,” and “traces” (twice) are peppered through the text. On the other side of the continent, when the Boston Globe reported on March 27 on radioactive iodine found in rainwater there, it left unchallenged a reassuring claim by a state public health official. The official stated that the radioactive chemical detected, Iodine 131, has a half life of only eight days, implying that is the period of concern. What was left out is that the significant life of a radioactive chemical is 10 times its half life, which for I 131 is 80 days. During that period I-131 is intensely radioactive. If it enters our bodies by drinking contaminated water or milk, it will lodge in our thyroid glands and highly irradiate them, increasing the risk of thyroid cancer and other thyroid diseases greatly. The Globe didn’t report this significant fact either. Fortunately there are other voices. And that increasing risk is what Fukushima has already brought us. Some preliminary studies have already come up with disturbing findings that highlight how much the Fukushima disaster has already increased that risk. And in a study released March 21 by Mangano of the Radiation and Public Health Project, “Concern That Japan Could Harm Americans Emerges,” the epidemiologist asserted, “increased rates of disease and death could soon occur among fetuses and infants, as the radioactive plume now moving across the Pacific Ocean enters the American diet, similar to what occurred after Chernobyl. Mangano went on to cite the studies he referred to, reporting where and when they appeared. The world has already been more than sufficiently warned, one again, of the dangers and risks of nuclear power by the ongoing disaster at Fukushima. The call to unite to shut down existing nuclear power plants and prevent new ones from being built is also circling the planet, from Japan to Germany, California to New England. If ever there were a time to act, it is now. This may be our final warning.